The problematic Nintendo Wii U has received a software update, but unfortunately it isn't the one that fans have been looking forward to. The update includes minor support enhancements, bug fixes and "adjustments to enhance the user experience". 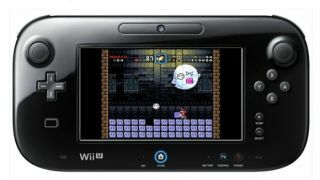 It will also allow the Wii U to connect to the Nintendo Network while in standby mode so that it can download SpotPass data and other software updates. While this update should benefit Wii U users, you will have to wait a few more months before you can see the update that will boost the system's speed. "A system update providing further additions to system functionality is planned for release between the end of September and beginning of October," Nintendo said on its website. It will be a rather major update that will not only help increase the speed of the system and boost the overall performance, but will also add new, however currently unknown, features. The Wii U had received a system update just a few short months ago that was also meant to help with speed and lag issues, however problems have still persisted.